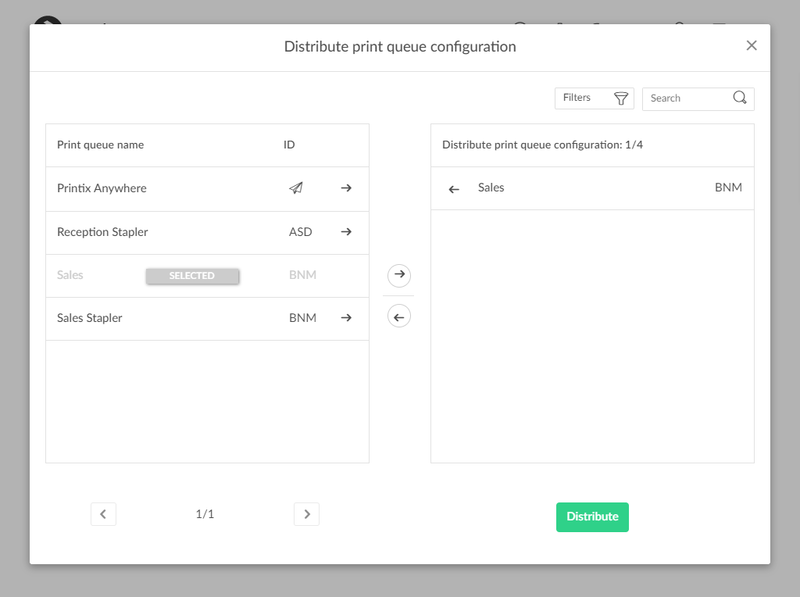 If you have a lot of printers of the same model and need to make the same configuration change on all of them, you can save time with Distribute print queue configuration. The destination print queues will be setup with same print drivers and print driver configurations as selected for the originating print queue. Select the print queues to select the print queues to receive the print queue configuration. A star ★ appears after the printer ID if the print queue is not active. Select Network to filter by this. The same network as the computer is selected by default.